One of the Most Haunted Castles in the World! The Edinburgh Castle in Scotland is considered to be one of the most haunted castles in the world! Millions of individuals flock to Edinburgh Rock in the city of Edinburgh in order to take in the wonder and appeal of this majestic castle. This castle provides more than just visible appeal and spectacle to tourists and locals, it is also apparently a haven for a number of spirits. Here, you will learn about the spectacular Edinburgh Castle, one of the most haunted castles in the entire world! 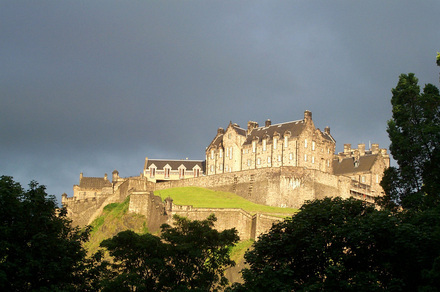 Whether you are an avid ghost hunter, or someone who is curious about the paranormal, Edinburgh Castle is the place to be! •	The first of the experiences that I will cover is that of the spiritual dog that is said to reside at this most haunted site. Interestingly, there is a cemetery on the grounds that specifically housed the bodies of canines. Many visitors, locals, and employees of this particular castle have stated that they have actually heard the sound of dogs coming from the plot of land. In addition to this, many have also claimed to have seen the spirit of a dog wandering around in this particular area. •	If you are planning to visit this most haunted castle, you may be in for a little entertainment. Here, you may be able to hear a spiritual musical show! Many individuals have heard music coming from within the walls of this castle. The thing of it is, there are no physical musicians present! This is said to be the spirit of a drummer boy, who when he appears, he has no head at all. It is said that he only appears visibly if he feels as if the structure is being threatened. •	The dungeons of this castle have been said to be haunted by spirits that are considered to be “lost” and “unsettled”. Many cold spots, uncomfortable feelings, and other strange occurrences have been experienced in this particular area. Immediate changes in the actual temperature, and an intense feeling of being watched is often common in the dungeon. •	Throughout various other locations in this most haunted castle of Edinburgh, individuals have claimed that their clothes have been pulled by an unknown presence. In one instance, an individual felt as if their arm was being burned.